The morning was foggy, but soon sun was shining and warming causing fog to disappear in minutes. It was totally calm and extremely beautiful morning. I decided to paddle on a light shirt instead of paddling anorak. The first stretch to Ahveninen was roughly 10 km. 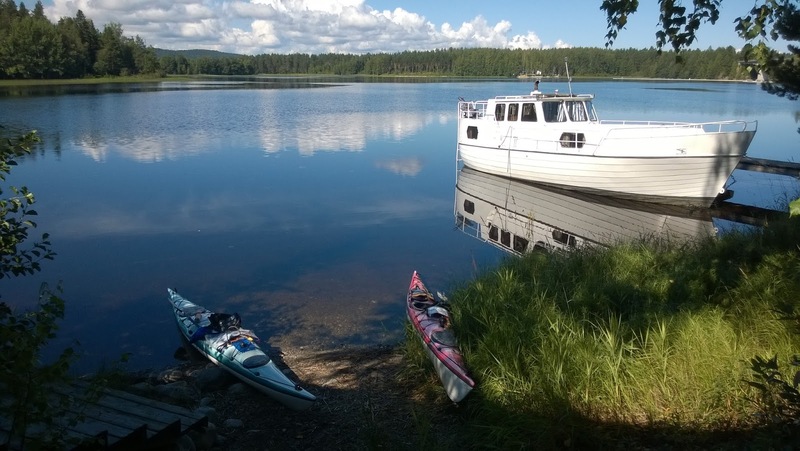 We stopped for a coffee break at the kiosk at Ahveninen and enjoyed the hot summer weather. After Ahveninen there were the last 10 km crossing in Pielinen to Uimaharju city after which Pielisjoki - river section would start. 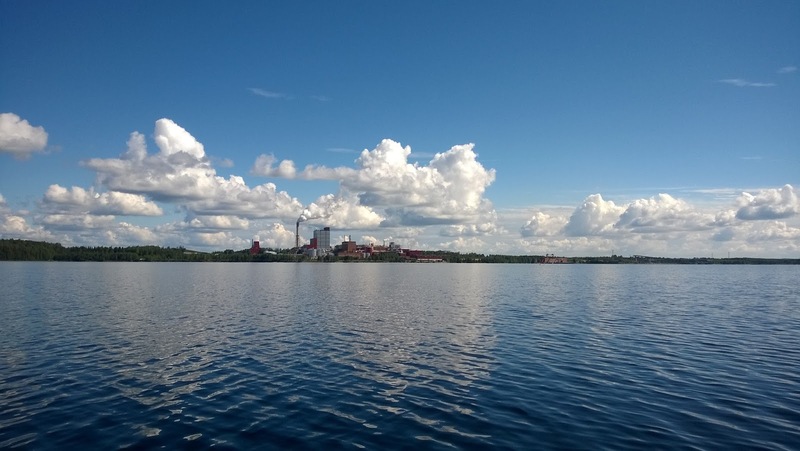 Enocell - pulp mill loomed in a horizon and we headed towards it. Just after the bridge we landed on the small harbor at Uimaharju and had the quick lunch at sunshine. 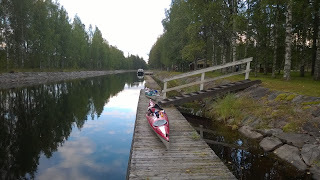 The narrower stretch along Pielisjoki - river started and it was nice to paddle nearer the shore for a while. The headwind of 4 m/s greeted us when paddling towards Jakokoski. We passed Eno and saw Harpatinvaara - hill, where Jukola orienteering relay will be organized next summer. Pielisjoki has been harnessed to generate electricity and there are 2 dams and power stations on the way. The highest drop of 9 meters is located at Kaltimo and we passed Kaltimo power station via Kaltimo - channel. It took roughly half an hour to get through the locks. At Jakokoski we found a nice tenting place at historic museum channel of Jakokoski. The paddling route of the third day can be seen here.